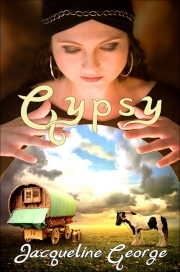 Down a disused Devon lane, Virginia discovers John, a handsome gypsy living in a traditional horse-drawn caravan, an idyllic piece of Old England. He has a dog and a horse, and makes baskets, but there is more to him than meets her eye. He is an educated man who has chosen a simple life. The more Virginia learns of him, the more interesting he becomes.